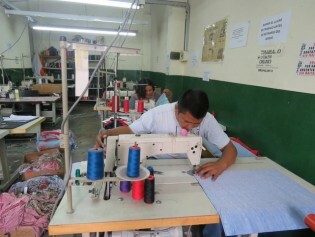 In Argentina, there are now 20 brand names that guarantee that their garments are produced by workers in decent working conditions, thanks to the Clean Clothes network, aimed at eradicating slave labour in the garment industry, which illegally employs some 30,000 people in sweatshops around the country. The sign for Salem’s directs you off a busy road in Addis Ababa, down a side street to a compound where multiple pairs of feet move up and down working treadles, and wooden shuttles flit back and forth, as Ethiopian sheumanoch — weavers — ply their trade. Haiti’s minimum wage will nudge up 12 percent on Jan. 1, from 4.65 to 5.23 dollars (or 200 to 225 gourdes) per day. Calculated hourly, it will go from 58 to 65 cents, before taxes. Twenty-seven-year-old Muhammad Arif works at a steel re-rolling mill in Lahore, capital of Pakistan’s northeastern Punjab province, producing steel ingots from scrap.